(Chicago) — The Addiction Policy Forum, of which TASC is a national partner, has announced several new initiatives to help families in the United States struggling with opioid addiction and other substance use disorders. 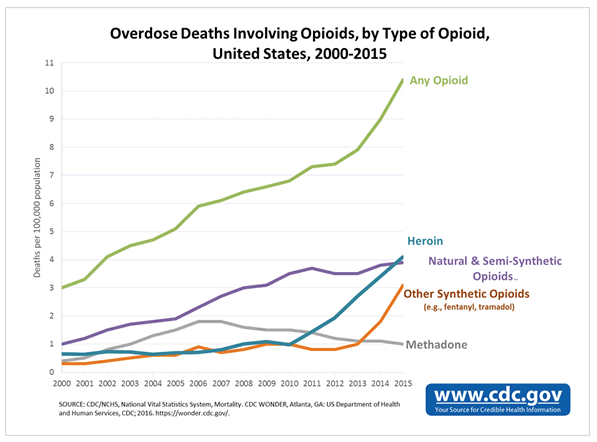 The programs put in motion key elements of the organization’s multi-year plan announced in October, which offers a comprehensive approach to addressing the growing opioid epidemic. The Addiction Policy Forum is led by Jessica Hulsey Nickel, who will receive TASC’s 2017 Public Voice Leadership Award at TASC’s annual luncheon in Chicago on December 14. 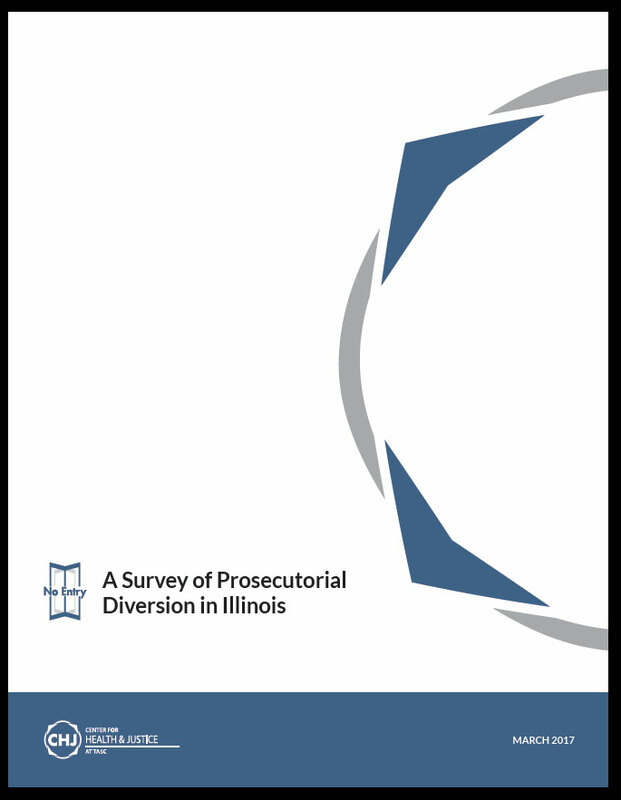 As active partners in the Forum since its inception in 2015, TASC and its Center for Health and Justice offer practical experience and expertise in criminal justice diversion and reentry strategies, while also promoting innovative programs that are making a difference in communities across the country. The Addiction Policy Forum represents a diverse partnership of organizations, policymakers, and stakeholders committed to working together to elevate awareness around addiction, and to improve programs and policy through a comprehensive response that includes prevention, treatment, recovery, and criminal justice reform. 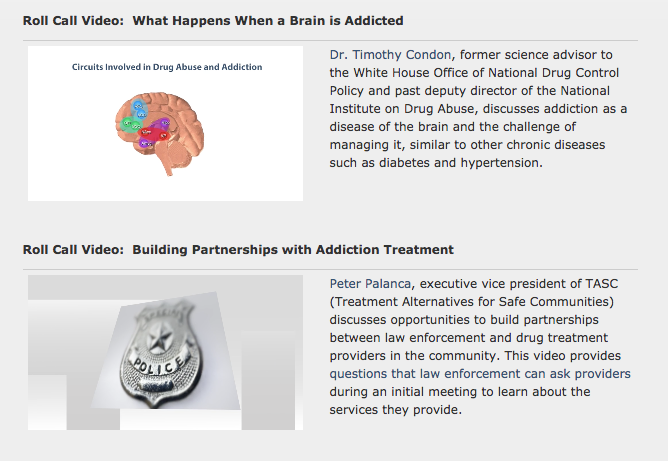 (Chicago) – The Center for Health and Justice at TASC has produced two short videos designed to support law enforcement in connecting addicted individuals to treatment in the community. The videos can be viewed on the Center for Health and Justice website. When people are addicted to drugs, their decision-making abilities are compromised. With information on how addiction affects the brain, and how to effectively partner with drug treatment organizations, many law enforcement agencies are working to reduce crime and improve community relations by diverting low-risk individuals to treatment rather than arrest them when their offenses are related to addiction. Dr. Timothy Condon, former science advisor to the White House Office of National Drug Control Policy and past deputy director of the National Institute on Drug Abuse, discusses addiction as a disease of the brain and the challenge of managing it, similar to other chronic diseases such as diabetes and hypertension. 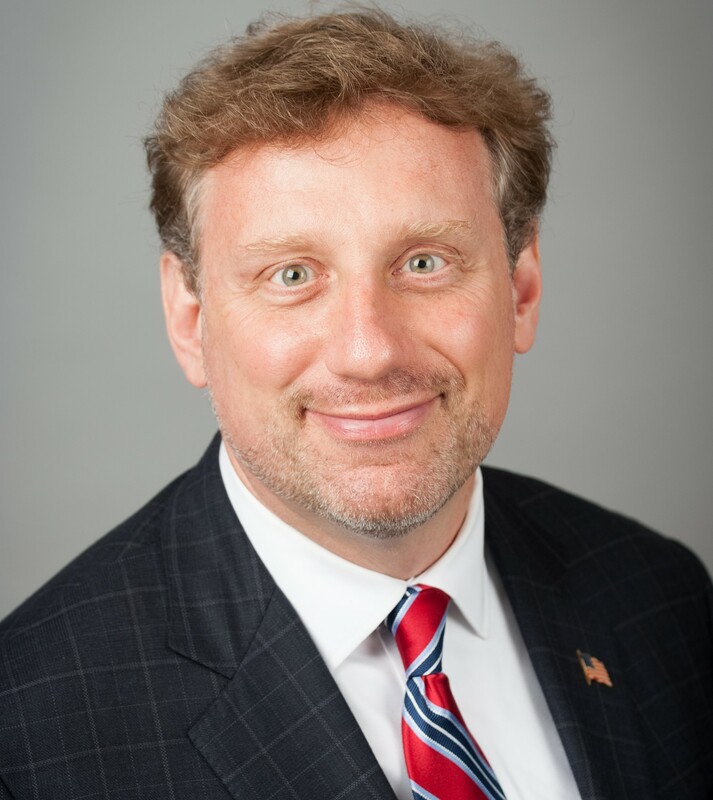 Peter Palanca, executive vice president of TASC, discusses opportunities to build partnerships between law enforcement and drug treatment providers in the community. This video provides questions that law enforcement can ask providers during an initial meeting to learn about the services they provide. For information on how to use these videos in your law enforcement setting, please contact Jac Charlier, director of consulting and training for the Center for Health and Justice at TASC. Funding for the production of the videos was provided through a grant awarded by the Office of National Drug Control Policy, Executive Office of the President. Points of view or opinions in the videos are those of the presenters and do not represent the official position or policies of the Executive Office of the President. (Chicago) – In the United States, the majority of people who come into the criminal justice system have a substance use problem, which is a treatable health condition. As a response to non-violent offenses related to drug use and addiction, there are many alternatives to incarceration that are more effective and less expensive than keeping people behind bars. “Program models are not enough,” said TASC President Pam Rodriguez. “What’s much harder to sustain—but what’s necessary if we want to achieve real impact—are whole systems where justice partners and health services in the community work together by design. For cash-strained governments, overburdened justice systems, and communities and families suffering the consequences of addiction, alternative sanctions for non-violent, drug-related offenses make sense. First, incarceration is costly. In Illinois, it costs an average of $38,000 to keep someone in prison for a year. A single day in the Cook County Jail costs an average of $143, and even more in the segment of the jail that detains people with serious mental illness. To borrow a term from the medical field, incarceration is iatrogenic, meaning that in and of itself it is harmful. Incarceration usually leaves people worse off—in terms of recidivism risk, job and family disruption, financial destabilization, and more—than when they went in. Even three days in jail has deleterious consequences. Furthermore, without intervene early on, there are costs and consequences of a criminal conviction that last far beyond the period of incarceration or probation. The American Bar Association keeps a record of these consequences in each state. Like other chronic health conditions, substance use disorders are treatable. It is estimated that 23 million people in the United States once had an alcohol or drug problem and no longer do. Among individuals with a drug problem who were sent to TASC’s court and probation services, there was a 71 percent reduction in arrests for drug and property crimes over a two-year period after program enrollment. There are numerous evidence-based practices and policies for preventing and stopping cycles of drug use and crime. The National Institute on Drug Abuse, the Institute of Behavioral Research at Texas Christian University, and TASC’s Center for Health and Justice are among many entities that publish and promote what works. 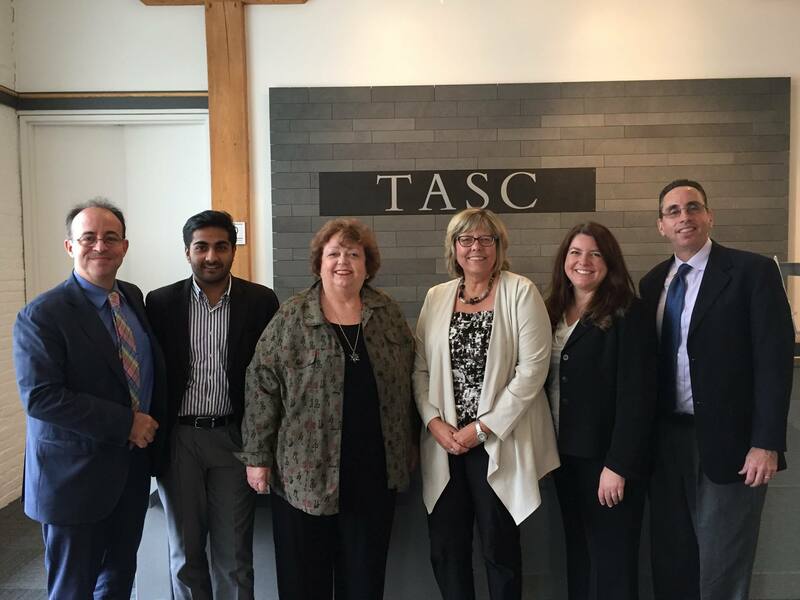 Sept. 14-16, 2016: TASC and partners welcomed guests from international agencies for a three-day site visit focused on diversion initiatives, jail interventions, and sentencing alternatives in Cook and Lake counties. Left to right: Antonio Lomba, Organization of American States; Chritharth Palli, India judiciary; Melody M. Heaps, MMH & Associates; Pam Rodriguez, TASC; Charlotte Sisson, U.S. State Dept. ; Richard Baum, White House Office of National Drug Control Policy.